Handmade in Sweden with fine quality natural bristles, this brush has a center hole to fan out the bristles for better and better coverage. Easily wax smaller spindles and legs. It's lighter than most brushes because it has a cork center. 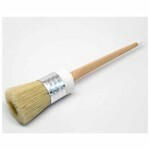 The European Wax Brush is handmade in Sweden and is a very high quality natural bristle brush. 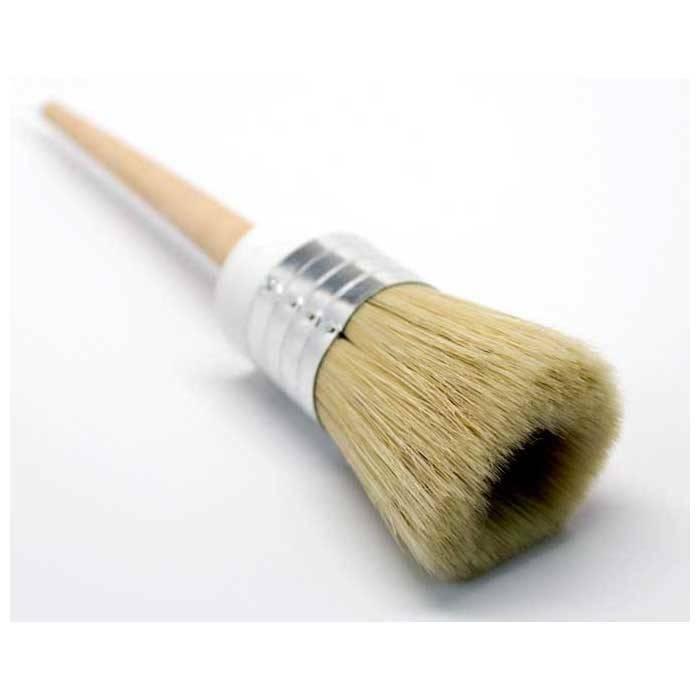 What makes this brush different from other wax brushes? This brush has a hole in the middle to help fan out the bristles for better coverage and quicker waxing (think street sweeper). The weight of this tool is lighter than most brushes because it has a cork in the middle. If you have arthritis or wrist problems you will love this brush because it doesn’t require a lot of pressure to work well. You can hold it by the handle or by the base. Clean up is easy with a little mineral spirits to remove wax and then soap and water to clean the bristles. (Do not soak in water for a lengthy period as the cork can expand and loosen the bristles).